Why does practicing something correctly make a person better at it? Why do some people have a harder time learning something new? Why do people seem to struggle and get worse when changing? These are all important questions that are answered below. There are scientific reasons behind the above questions as the body physically changes from practice in ways that can only be seen through a microscope. All the below scientific information is covered in greater detail in the excellent book, The Talent Code, written by Daniel Coyle. I would recommend everyone read this book. Check out his website here for more information. Practicing something correctly and practicing it many times over increases a players ability. This happens because of the way the body relays information from the brain to the muscles of the body. More specifically when the body makes any movement (including practicing), electrical impulses are sent through the neurons. The more some thing is practiced, the more efficient the electrical impulses will travel through the neurons. The build up of myelin along the neurons is what increases the efficiency of the electrical impulses in the body. For any action the body does, the brain sends electrical impulses through the body via neurons to the corresponding muscles that causes them to contract or expand making the action happen. Our body has over 100 billion neurons. Neurons are very unique-looking cells. Like all animal cells, a neuron has a cell body, called a soma, where the nucleus sits. ‘The nucleus contains DNA which provides directions for the cells making it function in the correct manner. 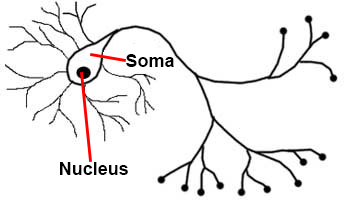 One end of the soma contains branch-like dendrites for receiving the electrical impulse signals. A long (up to a 3 feet long) axon stretches away in the other direction, branching out into multiple axon terminals for sending signals. 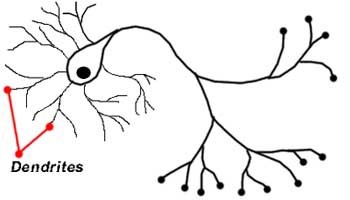 These axon terminals are often located close to the dendrites of another neuron, forming a connection known as a synapse. 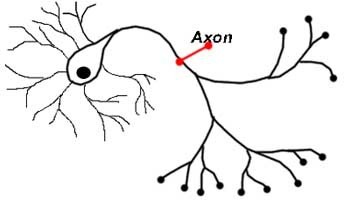 Strangely enough, axon terminals do not physically touch the other neuron’s dendrites. 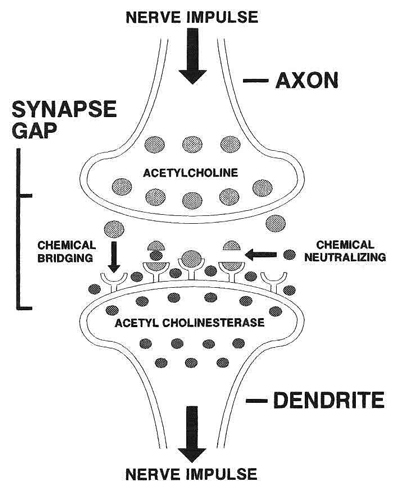 The electrical impulses must “jump” from the axon to the dendrites. Any given neuron will have about a thousand synapses with neighboring neurons. This connects the cells and allows them to send messages from neuron to neuron. 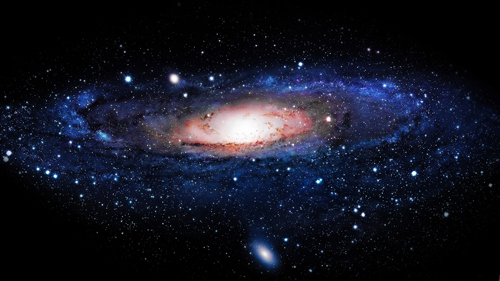 The number of synapses in a single human brain outnumber the stars in the Milky Way. 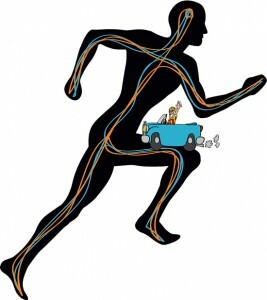 Neurons are basically like the roadways of the body. The electrical impulses must travel from the brain down various paths of neurons in the same way a car travels down roads. Just as in a car that has more than one way it can travel from point A to point B, nerve impulses have more than one pathway they can travel. For every movement of the body a very specific path is taken by the electrical impulse through the neurons. Hitting a backhand or forehand in tennis, for instance, involves hundreds of thousands of fibers and synapses. Take a more simple action like if someone decides to wiggle their big toe. The electrical impulse sent from their brain to their big toe is very specific. If they decide to wiggle their big toe in a slightly different direction, the electrical impulses from the brain to the big toe will take a slightly different pathway to get there. The more times the big toe is wiggled in a very specific direction and the more times the nerve impulses follow the same path, the quicker the big toe can start to wiggle and the quicker it can be wiggled in that direction. The big toe can do this because over time as the nerve impulse fires on a specific path, that specific path will be coated by a thicker and thicker layer of material called myelin. The myelin is blue in the below image. You can see in the image directly above that myelin has layers. More layers are formed the more times a nerve impulse is fired down the pathway. The more layers, the thicker the myelin will become. These layers build up and serve to insulate the neuron as the myelin is a dielectric. A dielectric is an electrical insulator so the building up of myelin helps keep the electrical impulses from escaping to a different path or from leaking out. 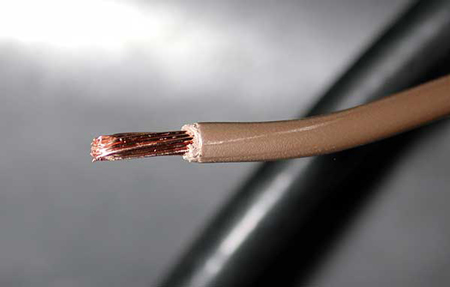 This is very similar to a coating around a wire that keeps the electricity from escaping the wire. The build up of myelin also causes the electrical impulse to go faster through the pathway. The more times a specific action is done the same, the thicker the myelin will coat that specific pathway. The thicker the myelin is, the quicker the electrical impulse can travel. If the big toe in the previous example is just randomly wiggled without a specific movement the speed the toe can be wiggled will not increase and the big toe will not be able to be activated sooner to start moving quicker. Once myelin is present along a nerve impulse it has been scientifically proven to increase the speed of the electrical nerve impulse by up to 20 times. The more the specific pathway is built up, the less aware a person needs to be to use it, in other words it becomes automatic. This is what everyone is striving for when learning or changing a new stroke and it is the very last thing to be obtained. Once the skill can be done automatically it feels like it is “natural” and not much effort is needed to do the skill. Of course not needing much effort isn’t true (its actually really difficult to do), but it feels like it takes little effort. Its also one of the reasons people think the professional players in any sport makes what they are doing look so easy. This all makes a lot of sense for the body to do if one thinks about it. It is much more efficient for the body to make something that needs to be done all the time easier for the brain and body to do. Adding extra myelin along the pathway does this. The great thing about myelin is that anyone can grow it, from the newborn to the senior citizen and everyone in between (Myelin does grow quicker in children which is one reason why kids tend to learn things quicker). This is great news for everyone as regardless of ability or age they can improve any skill with enough correct practice. 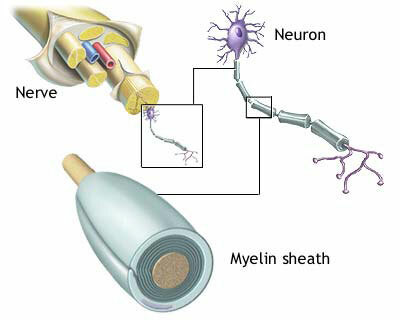 Myelin also has the ability to regulate the speed on the nerve impulses. 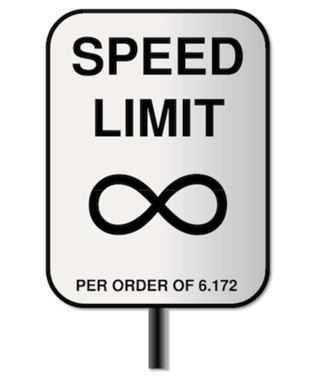 It can speed up or slow down the electrical impulses to help the signals hit the synapses at just the right time. This is basically how people get better at timing things. Think about first learning how to hit a tennis ball (or if you’ve never played tennis think of hitting a baseball). It is difficult to get the timing right to actually hit the ball, but the more attempts at trying to hit the ball, the easier it becomes to hit it. Basically any practicing builds up myelin. Correct practice or incorrect practice both build myelin, the brain and body cannot differentiate right from wrong. 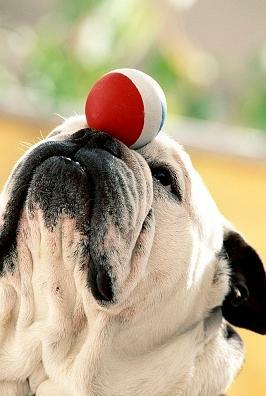 You can’t teach an old dog new tricks. While this statement is not completely true, there is some merit to it. I run into this problem a lot on the tennis court. Many of my new students have played tennis before. Often times they will boast about how they’ve played for years. For these people my response is always “Uh oh, you are gonna be difficult to teach.” Of course I only say that to myself. At least at first, eventually I let them in on this little secret in order to set the proper expectations. Relearning something a different way is much more difficult then learning it the first time. The reason unlearning and relearning something is so difficult is because of myelin. Myelin build up works both ways. Practice something correctly and the myelin builds up along the correct neural pathways and the shot can be done quicker and be more effective. 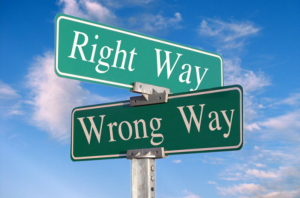 Practice something incorrectly and the myelin will build up along the wrong pathway making it really hard to change to the correct pathway when trying to do it a different way. This is because the correct pathway has to build up the myelin that the old pathway already has. Myelin does not break down except in case of disease or age so the old pathway will still have myelin. In order to overcome the old myelinated pathway, the new pathway must be built up even more then the old way. Until the new pathway has built up more myelin then the old, there will always be a tendency to revert back to the old way if thought is not put into doing it the new way. Reverting back to the old way is just having the nerve impulse going down the old pathway which is more easy to have happen since that pathway has more myelin on it. So its much easier to learn the right way and practice correctly from the start. If the myelin is built up along the wrong pathways it is much more difficult to reroute the pathways another way. This doesn’t mean if you’ve learned a different way that you are hopeless, it just means its going to take you a bit longer to change the neural pathways and make them fire down the correct path. This can be awfully frustrating especially if you’ve obtained a certain degree of success with the stroke already. I find that the “better” a person perceives the shot they want to change to be, the longer it takes to actually change it. It is harder to convince the subconscious mind that a perceived “good” shot should be changed, even if the conscious mind wants to change it. Plus, the student has more to lose when changing a better shot. This is a main reason why it is important for the student and instructor to be on the same page. It really does not do either player or coach much good if they don’t agree on what thing needs to be changed. As an instructor it can some times take some convincing to get the student on the same page. In almost every case, when learning to swing a different way, a player will get worse before they get better. The saying “one step back two steps forward” is no more true then in learning to hit a tennis stroke a different way. I would say the quote would be even truer if it was “10 steps back, 11 steps forward!” The physiological reasons behind why this is the case (myelin) has already been explained. The physiological reasons can not be helped, everyone has this problem. Psychologically knowing this is going to happen can help some. Every stroke in tennis is a very complex maneuver. There are many different elements that must all be done in a very specific order. In a lot of ways a tennis stroke is like a complicated dance. When someone learns a dance they take it slow, learning a single step and then adding on from there. They first learn to do all the steps slow and then as they get better at doing the steps, in the correct order, they increase the speed until they are doing the dance at full speed. This is true for anyone who has ever tried to learn a complex dance. Even great dancers like Fred Astaire and Gene Kelly would spend countless hours practicing this way to perfect one dance. Because a tennis stroke is like a dance, one must teach tennis strokes like teaching a dance. Any complex maneuver requires action A to happen then B then C and so forth. Action A usually will recruit a certain set of muscles then action B will usually recruit a different set of muscles as will C. Each time a muscle is recruited the brain fires an electrical impulse down a specific path. Regardless of the speed of the complex maneuver those same muscles will be recruited. 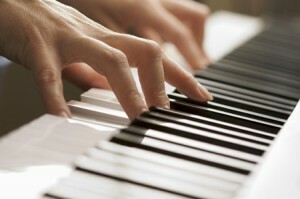 Think of someone learning to play a song on the piano. Whichever finger needs to be activated to press the first key will be activated regardless of how slow or fast the key is pressed. The second note will need to use a different finger to press a different key and this will require a different electrical impulse. No matter how fast or slow these two notes are done, as long as they are done correctly, they will fire a nerve impulse down the same path. Someone could wait one minute in between pressing the first note and second or just one second in between, it wouldn’t make a difference, the same electrical impulse path would be taken. In order to do a complex set of movements correctly and also in a quick manner, the correct neurons must fire down the correct path. The more times they fire down the correct path, the quicker the movements can become. This will help to build a thicker and thicker layer of myelin which will eventually allow the complex maneuver to be done faster. The key though is that they must go down the correct path. 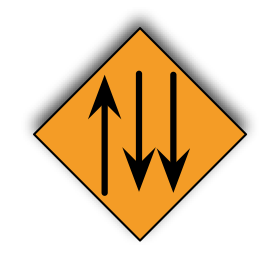 Even slowly doing the complicated maneuver will allow the electrical impulses to go down the correct path. The bottom line is that it is important to do things correctly so the body can build up myelin along the correct pathways. In order to hit a tennis shot correctly one must go slow at first to make sure the electrical impulses follow along the correct path. Because every tennis stroke is a very complex maneuver, the strokes must be learned in segments, just like a dance. Practicing the stroke in segments ensures that each segment can be done correctly which ensures the electrical impulses can follow the correct path. Once a segment is learned correctly, the next segment can be added until eventually the whole stroke can be done correctly. Do the stroke correctly and slowly first. Once this is mastered the stroke can be sped up. The journey getting there is sometimes more important then actually getting there. The most important thing when practicing is to do the stroke correctly. This is even more important then getting the ball into the court, its more important then even contacting the ball for that matter. I would rather have a player completely miss the ball, but swing correctly. This is more successful in my opinion then getting the ball in the court but swinging incorrectly. This is usually a very hard concept for players (especially adults) to comprehend. Many times people only care about the end result. They don’t really care about what caused the end result as long as it is the result they wanted. 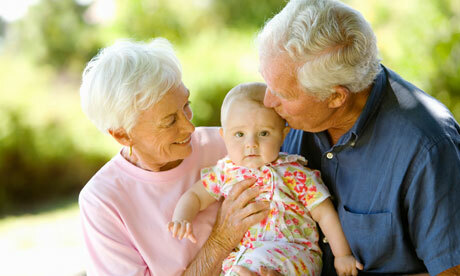 But remember by doing the stroke correctly, even slowly, builds up myelin along the correct pathway. Now of course there comes a time and place where a player has to get the ball in the court and that is more important then swinging correctly. During a match the most important thing is getting the ball in the court. Swinging great, but missing the ball will not help a player win. But, there are even times during a match I would rather see a player swing correctly and lose. The best course of action when trying to make whole sale changes is just NOT to play ANY matches. If you play matches twice a week, stop for awhile. If you play tournaments every week, stop for awhile. The reason for this is that once people get into the heat of the moment they tend to do what is comfortable. If a player is in the beginning phases of learning to swing a stroke a different way they will revert back to the old way. This can set back the progress made on the new swing. It takes a very strong minded person to play a match knowing they are probably going to lose to someone they routinely beat. But, losing a match like this is a high probability when changing a swing. There does come a time in a new strokes development where matches should be played, its just not at the beginning of learning it. If I have a player learning something new I usually have them take a couple months off of playing competitive matches. Junior players who play tournaments every weekend have a hard time developing their game as they don’t have enough time in-between tournaments to work on new things. They (and their parents and coaches) get so wrapped up in winning and rankings that they forget about developing the players skills. Of course the players, and a certain extent the parents, can’t be blamed for this as they really do not now any better. Many people talk about muscle memory, but obviously its a figure of speech as muscles can’t have a memory. Muscle memory basically means that something is done so often that the body just does the action the same way every time and in a reactive/subconscious way. The movement does not need to be consciously thought about and is just done correctly. 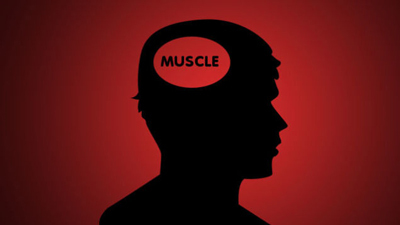 What other people call muscle memory is actually the build up of myelin. Every time a tennis stroke is done whether done correctly or incorrectly, myelin builds up along the neural pathway that is used to make the swing. The more often the swing is done, the thicker the myelin becomes. The thicker the myelin becomes the quicker the swing can be done and the more likely the swing will be done the same way. This is great if the swing is done correctly, but can be a detriment if the swing is done incorrectly.